Welcome home to your bright and cheery escape! This home has so much natural light with giant windows throughout. Main level living with multiple seating areas, offset by a contemporary fire place. Neutral colors create a blank slate for you to make this home your own. Open floor plan, double oven, and wet bar are excellent for entertaining. The giant master suite is spacious and boasts vaulted ceilings, a big soaking tub, and walk-out patio access. Even folding clothes is a joy with a light and spacious laundry room. Fenced, private backyard is your own quiet retreat. Tucked deep in Prospect Village in Gold River, this home backs to greenbelt and walking trails and offers access to nature. 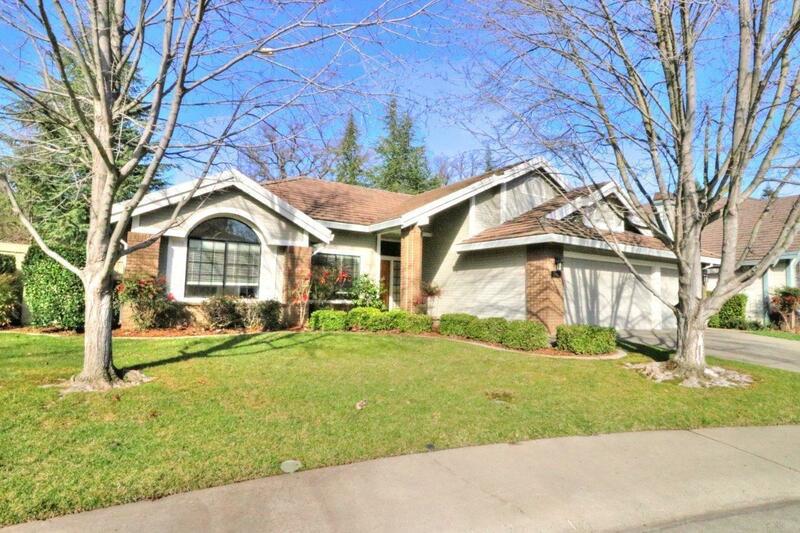 Close to everything you need: GRDC elementary school, fine dining, shopping, Lake Natoma, Nimbus Fish Hatchery, and Highway 50. Must see!